An engineer from Zeroturnaround writes that he had such a bad experience enabling Java 8 support on Eclipse, he switched to Netbeans. 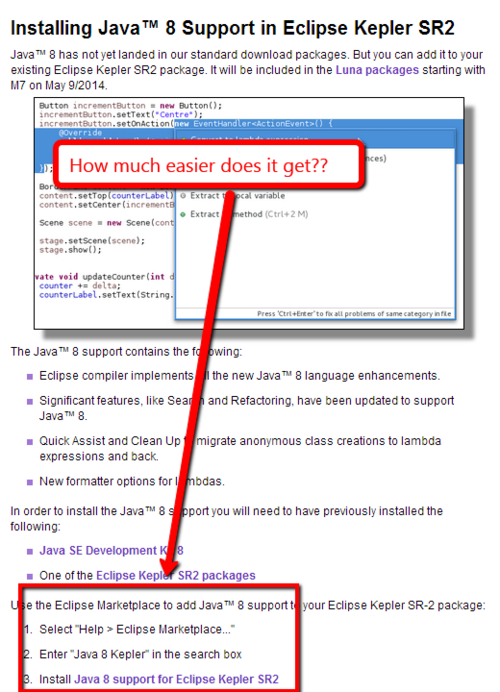 However, it took me 4 days after Java 8 release to find a blog post about the topic, which in turn refers to another message, which then points to a Wiki page that describes Eclipse’s support for Java 8. ) 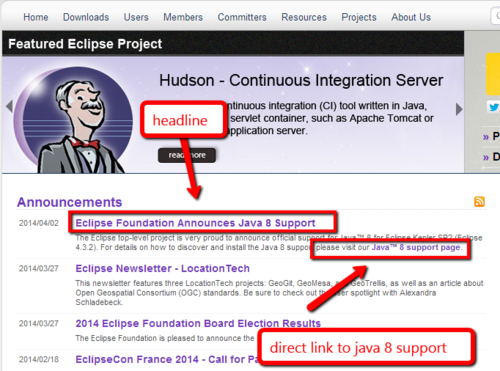 that refers to a message on the JDT mailing list which in turn refers to a Wiki page where a how to for Eclipse Java 8 support is described.